The extraordinarily beauty of Phi Phi Island offers the ideal location for couples on their first trip as husband and wife. Many of the most romantic scenes can be explored amongst the cliffs and beaches at sunset. The unforgettable atmosphere at Maya Bay at 6.30 must match the great moments of all island get away destinations. There is nothing better than bobbing around on a long tail boat listening to the sound of the sea, sipping a glass of chilled wine, sharing the special moment with the one you love. Other quiet places to explore on honeymoon on Phi Phi are Monkey Beach, Lanah Bay and Bamboo Island. Taking your honeymoon at Phi Phi Island Village Resort and Spa lets you rejoice in it's remoteness and brings the focus on you. The gentle waves on the palm covered beach, the well spaced Phi Phi bungalows amongst the coconut groves, the relaxing massage, and the elegant service put this resort high on the must go to on Phi Phi Island. Honeymoon Villas at Zeavola Resort let you turn inward and make the most of the Indonesian Thai architecture with shapes and colours that delight the senses. 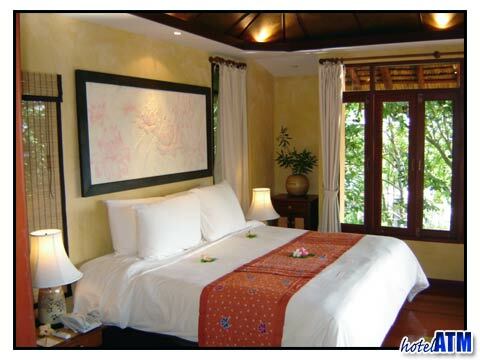 This boutique resort offers a high standard of service in wonderful surroundings at the same time it has wonderfully well organized honeymoon tours for 2. The spa also offers a studio massage where both man and wife can enjoy together. All the resorts near the ferry pier allow plenty of choice for good restaurants bars and clubs. 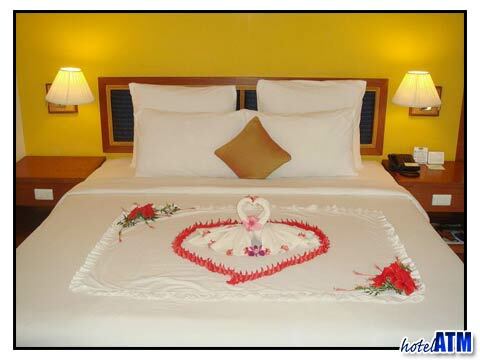 The Phi Phi Cabana Hotel offers the largest facilities while the Phi Phi Viewpoint Resort offers an excellent honeymoon environment on a budget. If your honeymoon needs action the bungalows at Tonsai Village (where the ferry arrives) and hotels like Phi Phi Hotel are the main center for kayaking, snorkeling and diving though more and more the facilities at Long beach are developing to match those of the village. A great resort on this beach Phi Phi The Beach Resort. Honeymooners will get preferential treatment at phi-phi.com, allowing them to choose the routes for their tours and special prices on ferry tickets. Just inform the customer service when you make a reservation and ask for any good deals available on the island.